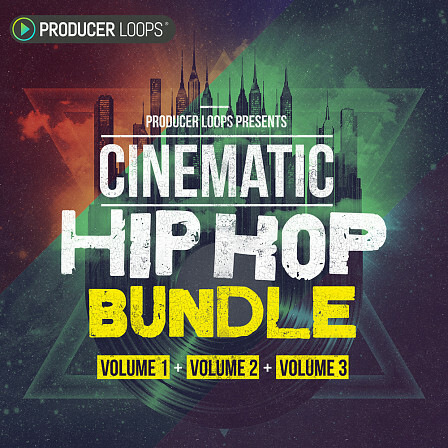 'Cinematic Hip Hop Bundle (Vols 1-3)' combines the first 15 Construction Kits in this Horror Hip Hop series from Producer Loops. Heavy filtering, intense orchestral strings, eye-watering snare & hat combos and the most morose of 808s give this series its inimitable Cinematic sound. 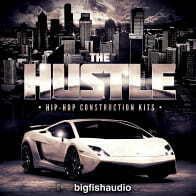 Ideal for the Urban producer trying to garner his next placement or the artist looking for the sickest beats on the market. This despairingly dark series is perfect for everything from advertising campaigns that need a serious Urban edge, through to soundtracks and standalone Hip Hop releases. What's even better is that you'll save big when buying the three included collections as a bundle - you're pretty much getting one volume for free! These arrangements work brilliantly as instrumentals, or as the basis for a vocal performance, be it rap, or otherwise. Simply drag and drop these expertly produced samples into your DAW and start crafting top-tier Cinematic Hip Hop today. With dry and wet files included as well as MIDI files, this is an all-in-one solution for producers looking to venture into the Cinematic, darker side of Urban music.